Yes, I’ve been nocturnal for a full two weeks. But that’s 14 sunrises that I got to see. Some of them were stunning. I have never been so happy to read quietly scornful notes that impugn my ability to practice medicine! Okay, no one’s being snarky. And no one called me an idiot. But it’s clear that people are not impressed by the leukemia idea after review of the peripheral smear by people who…um…actually have a lot more experience with histological diagnosis. Everyone seems to think I was right in the first place when I posited malaria as the source of his cyclical fever. Even though we didn’t see the plasmodia in the initial smear, they’re going to do serial smears see if they can catch sight of the little buggers that everyone thinks are probably lurking around somewhere in their reproductive cycle. Hematology is following along, and we’ve gotten Infectious Disease on board, too. I also feel good about keeping leukemia as number three (after malaria and dengue fever), so we could rule it the heck OUT, and be sure it wasn’t missed if it was there. Conclusion: I done right by my patient. But I clearly need more practice recognizing normal variants on a peripheral smear. Luckily I have a hematology/oncology rotation coming up in a few months! Malaria ain’t great, but in an incredibly morbid conversation with one of my interns in which we ranked everything on the differential (from malaria to tuberculosis to HIV and many things in between) in order of what we would prefer to contract ourselves (yes, we do this sometimes), we agreed that we’d rather have malaria than leukemia. Please join me in the happy dance of your choosing. I think I just diagnosed leukemia tonight, in a 42 year old guy with two kids. I’m desperately hoping that I’m just too inexperienced and misinterpreted the peripheral smear….but I don’t think I did. I liked it better when I thought his fevers were from malaria from his vacation in Puerto Rico. I love excuses to go down to the lab and do actual microscope work (especially if I have time to do it), but sometimes looking into those eyepieces results in an unmerciful stab to the gut. I really want an attending to show up and tell me I’m an idiot. But I have to wait until morning; right now I’m the senior medicine doctor in house. So at least for a couple of hours, this guy has leukemia. I hope not longer…..though I have a gnawing suspicion in my heart. I’m going to go watch the sun rise. 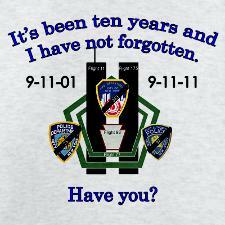 Yes, today is the tenth anniversary of September 11. Yes, everyone on the Internet is posting some commemoratory commemorification thingy or another. Instead of commemorating a crime against the soul of humanity by watching self-serving speeches or buying items that only serve to profit from tragedy and from the obliviousness of our fellow Americans, why not contribute to the soul of humanity by helping out someone less fortunate than you are? That’s right. I’m suggesting volunteer work! Help out at a soup kitchen! Read to nursing home residents! Hang out with homeless teenagers! If you’re short on time and/or opportunity, donate to a charity of your choice, so they can help out other people! If nothing else, say something nice to your neighbor. Do something. Build something. Help someone. Disempower people who tried to turn us into something ugly by contributing to the strength of our communities. Don’t get distracted by the hand-waving, self-serving profiteering that everyone else will be sucked into. If you buy this T-shirt or anything similar to it....the terrorists win. Facebook tells me that I should wish her a happy birthday. I dearly wish I could. I would like nothing better. But Lizzie Hudson passed away three years ago at the age of 23, after losing her lifelong battle with Cystic Fibrosis. Lizzie was one of my first patients, when I was a third year medical student, just starting out with my first rotation: Internal Medicine, which I eventually chose as my specialty. She started out as any other patient does. I woke her up, apologized for waking her up, and did my standard History and Physical initial patient interview. As a lifelong denizen of hospitals, she was quite used to this. She answered all questions cheerfully, honestly, and concisely. And starting from there, she quickly became a favorite patient. She had this cheerful, unrelenting positivity that was just a delight. I would stick my head into her room whenever I was on her floor, sometimes only long enough to make faces at each other before I had to move on. When I had some down time, I spent it hanging out with her, wrapped in an isolation gown and nitrile gloves to protect my other patients from the resistant bacteria she was inevitably colonized with. We talked about hospital stuff. We talked about music and movies. We talked about her family and friends. We talked about religion, because she was a devout Christian and faith played a huge role in her life and she loved to hear about the role that my very different faith played in mine. She was a delight. She was a pleasure. She got over her bout of pneumonia, and we sent her home. I’m a fourth year medical student, and I’m basically in hell. Winter is a sucky time for a surgery rotation, since you have to make sure that any unplowed snow doesn’t interfere with you getting to work on time. So I had slogged through about two and a half feet of snow at 3am, walking in a tire track in the middle of the road, which was REALLY bad karma, but the sidewalks were unpassable. I comforted myself with the fact that my black coat would stand out against the white snow, and I could always dive out of the way without getting hurt because of all of the snow on the ground. I was headed to work that early to pre-round: get a morning set of vitals and labs on everyone before the surgery team came in to round at 6am so we could be in the operating room by 7. It’s hard pre-rounding at 4am, because the nurses just don’t have the information yet. So it takes a LOT of time to pre-round, and you get in BIG trouble if you don’t have a piece of information when you’re asked for it. So I’m panicking, running from patient to patient and computer to computer, trying desperately to get everything together in time. Then….DISASTER! One of the computers I tried to use actually had a nurse’s work screen pulled up on it. I had clicked on a button before it even registered that it was not the usual interface. And then as the screen went blank, it registered on my sleep-deprived brain that the screen had been showing a medication reminder. And in that adrenaline rush where my mind called up every detail of that screen, I noticed the name of the patient: Lizzie Hudson. No time, no time, no time! I tracked down her nurse, told her about my idiocy, was quickly forgiven and reassured, and I moved on to my next patient, jotting down Lizzie’s room number for future reference. We spent about an hour catching up, and many more hours over the course of the month just hanging out whenever I had some time. She was no longer technically “my” patient, but she was solidly my friend. Since we both had a messed-up sleep schedule (it’s hard to sleep in hospitals, either as a patient or as a larval doctor), we’d have wee-hours hangouts when I was doing an OB-GYN rotation that required me to stay overnight. I showed her how to break the hospital’s firewall (shhhhhh! Don’t tell!) and we traded favorite movies, TV shows, and even musicals. She kept on taking her oxygen mask off so we could talk more easily, and I’d keep a nervous eye on her monitor and tell her to put it back on whenever her oxygen saturation dropped below 90%. It never took very long at all. Something I’ll always remember: One day, Lizzie’s nurse took me aside as I was coming out of Lizzie’s room. “I thought you should know,” she said. “A few weeks ago, Lizzie was talking about stopping treatment and going home. Giving up. She was depressed, and she had lost hope. But since you started coming by, I haven’t heard her talk like that again.” I just about started crying. The nurse hugged me. “I just thought that you should know,” she said. I sometimes got in trouble with my team for spending time with Lizzie instead of sitting bored, waiting for them to give me something to do. I sometimes lost some sleep, making sure I stuck my head in to say hi before I went home for the day. We had a lot of fun. We had a lot of laughs. We swapped embarrassing family nicknames. One day, she made me promise to come back to her room after work so I could hang out with her while her parents were around. The four of us had a grand time. It’s one of my favorite memories of medical school. Besides the general enjoying-of-each-other’s-company thing, I also learned more about what it’s like for a family with a member who has a chronic disease than I ever learned at any other time during my medical education. The Hudsons were such wonderful people! What a dear, loving family! And then Lizzie got better enough to go home, and she went home. And tracked me down on Facebook. And, like a good medical student/larval doctor, I made sure to consider the ethical implications before I accepted her “friend invite”. For about three seconds. I swear, three whole seconds! Aren’t you proud of me? And then we lost contact for a bit, because I was busy and she was dying. I got a Facebook message from her one day, out of the blue, and I was excited because she had dropped out of my world for a while. And then my stomach twisted. Because the message was from Krissy, her mother. (Name changed to protect family’s privacy.) Lizzie had passed away, having never gotten strong enough for a lung transplant. Krissy invited me to her funeral. I don’t think she expected me to come, to be honest. But I did. As I filed in with her MASSIVE amounts of family and friends, Paul (her father, name changed of course) grabbed my hand. “Come talk to us after the service,” he said. I promised I would, and sat down to learn about the short life of my favorite patient. As expected, she was an unrelenting joy. I laughed with everyone else at the slideshow of her family pictures. I learned that Lizzie had died drowning. The lung infections that had plagued her for her entire life had overcome everything her doctors could think of to try. Her respiratory status declined progressively, to the point where she could no longer breathe on her own. I still can’t understand why G-d saves the most devastating diseases for the best exemplars of humanity. I will never understand this. I’m not even going to try. Her pastor told us not to mourn, because Lizzie was now walking with Jesus, who she had loved so dearly and had so dearly wanted to meet. And she was holding his hand with both of hers. And chattering his ever-loving ear off. I am not a Christian. But this image of Lizzie is nevertheless the one I carry with me, and it gives me comfort. Because it reminds me of exactly who she was. And if there is any justice in this universe, it is a true image, because that would be what Lizzie would have wanted for herself. I have never had the courage to remove Lizzie from my Facebook page. And as bittersweet as it is, I do like seeing her picture popping up on my news feed every once in a while, as Facebook obliviously advises me to say hello to her. I wish I could, Facebook. You have no idea how much I wish I could. After the funeral, Krissy and Paul asked me if I had any idea how important I was to Lizzie during her last years. They thanked me for coming to the funeral, and thanked me for deciding to cross the line that separates “doctor” from “friend”. We’re still in (very) sporadic contact. There is no way for me to know how important I was to her. But I can guess, extrapolating from how important she was…is…to me. I miss you, Li-bi-by-bie. I’m so glad you were a part of my education, and a part of my life. PS: I know it’s a delight to not have to worry about breathing anymore, but seriously, girl, stop and take a breath. If only to let poor Jesus get a word in edgewise. Help me remember Lizzie today on her birthday by learning a bit about Cystic Fibrosis, and sending good vibes to the families it destroys. 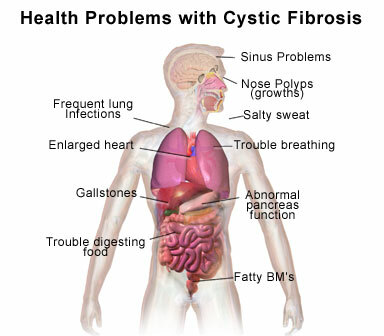 If the mood takes you, there’s even a place to support the search for a cure through the Cystic Fibrosis Foundation.